Built in 1928, the Fox has a style that was all the rage during the height of the Flapper decade. Its Art Deco design worked in Indian, Moorish and Medieval details, like a terracotta tiled dome. A Wurlitzer pipe organ was once the star of the show. The theater was neglected throughout the 1970s-90s but was renovated and reopened in 2009, contributing to Uptown Oaklands recent renaissance. Why go now? To see big-name bands; its a favorite music venue in the Bay Area. Worth seeing: The lighting board for the old theater still stands at The Den next door. It was used to dramatize the stage back in the early centuries. Can you believe? Two Piedmont high school sweethearts bought the Fox in the 1970s to keep the theater from being demolished. The couple had frequented the Fox in the 1930s for Saturday date nights. 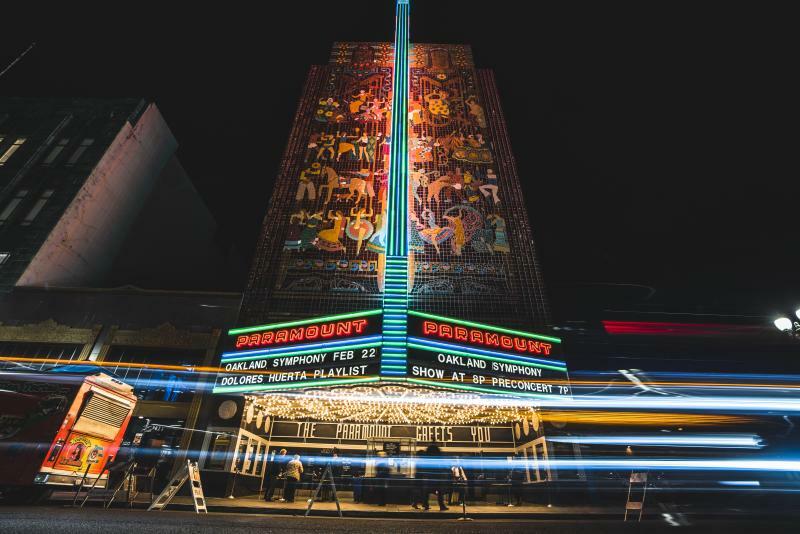 Two blocks from the Fox, the Paramount opened in 1931, with many doubting that Downtown Oakland could support two theaters so close to each other. But what an ode to Art Deco it became, starting with the 110-feet high mosaic on the outside, which only hinted at the rare materials inside: hand-adzed quartered oak, Balinese rosewood, Malaysian teak, Italian marble, and gold walls with sculpted motifs. Why go now? To see Oaklands symphony and ballet. It hosts other special events and gives tours on the first and third Saturdays. Worth seeing: Classic movie nights when the Wurlitzer organ plays before the curtains go up. Can you believe? 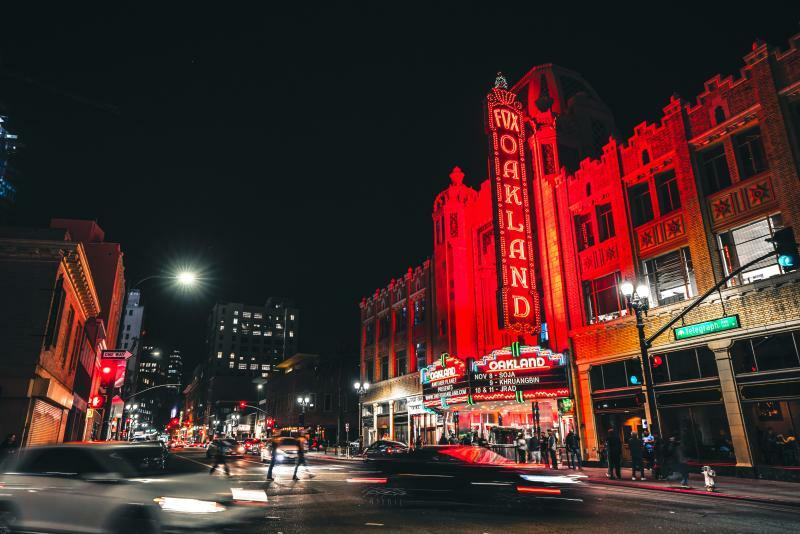 A former owner, the Oakland Symphony Orchestra, went bankrupt and gave the Paramount to the City of Oakland for $1; Bob Marley & the Wailers played here in 1975 and 1976. 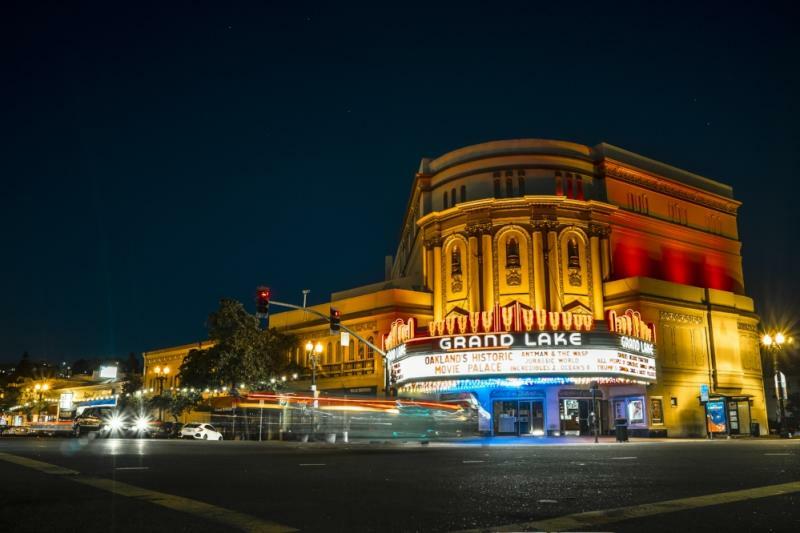 Built in 1926 as a vaudeville showplace and silent movie house, the Art Deco Grand Lake was soon taken over by the talkies. Like many other Art Deco theaters, it has Egyptian and Moorish touches. Why go now? To see Blockbuster movies in a slice of history, and to read the latest message tiled on the left-leaning marquee. Worth seeing: The 52-foot high illuminated sign is lit by 2,800 bulbs and is 72-feet long. Can you believe? On Friday and Saturday nights a Wurlitzer player rises from the floor and performs a few tunes. Compared to the others on the list, the Piedmont Theatre isn&apos;t as Art Deco extravaganza. But it is the oldest operating theater, opened in 1917. Since 1994, it has been operated by Landmark Theatres. Why go now? For indie and foreign flicks. Worth seeing: On Saturday nights, movie raffles and prizes from local merchants are given out pre-screening. Can you believe? Staff members still thank people personally for coming to the show. 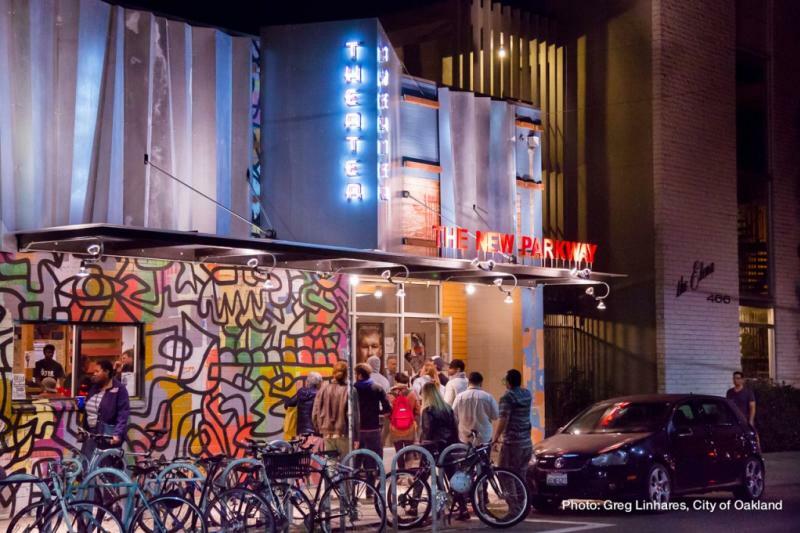 The New Parkway Theater is a community-centered cinema and pub located in Oakland’s Uptown district. Sit back and relax in our cozy couches while watching our new releases, cult classics, and fabulous special programming. Why go now? Enjoy yummy food and local beer and wine in our café or even delivered right to your theater seat, all at affordable prices! Worth seeing: Watch second-run films, throwback favorites, and check out quirky non-film events. Can you believe? The New Parkway is quite possibly the greenest movie theater in the world. With nearly everything being reusable, we strive to produce as little waste as possible and implore you to not order more than you can consume. 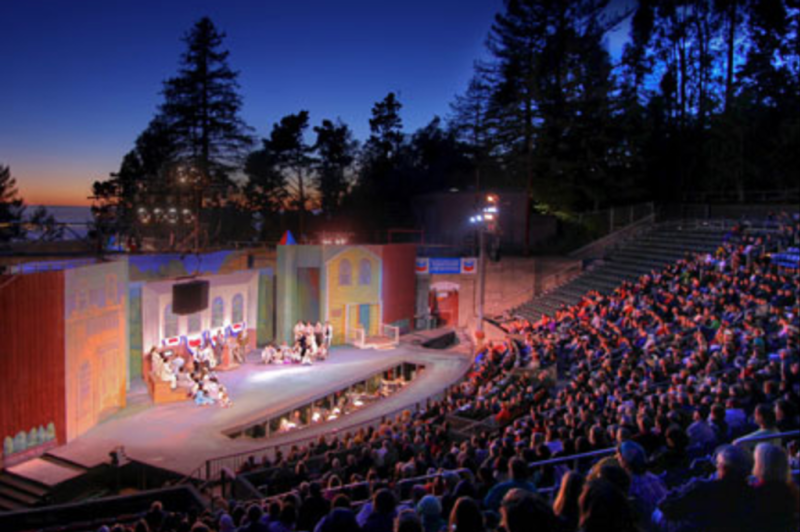 Woodminster Amphitheater is a large historic outdoor amphitheater, a WPA construction surrounded by a redwood forest in Joaquin Miller Park. A picnic before the show is an essential part of the Woodminster experience for many long time season ticket holders, and makes the experience extra fun for first time audience members. Why go now? Shows run only in July, August and September. Worth seeing: While many people picnic in the redwoods before the show, there are also a limited number of picnic tables inside the amphitheater itself, which you may reserve in advance. Can you believe? Between 22,000-25,000 ticket holders pass through the Woodminster gates each summer.